Recently, I was able to try Zenutrients` Olive Face Cream and Aloe & Calendula Head to Toe Cream through Sample Room Philippines. Zenutrients is a brand I`ve come to appreciate. 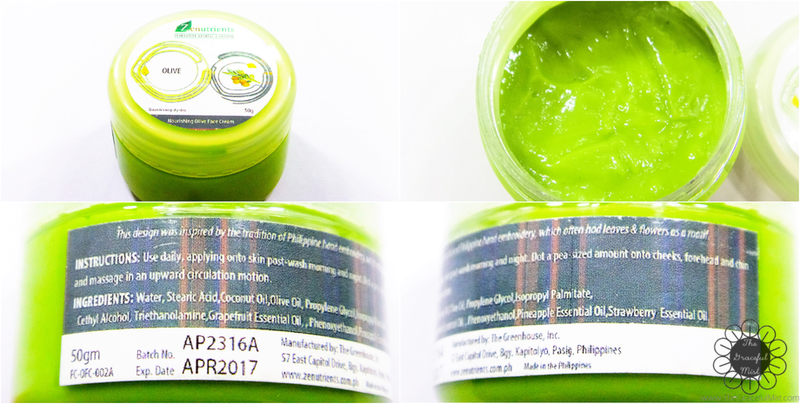 I first discovered it through SampleRoom.Ph when they had an available stock for the Gugo Strengthening Hair Serum. It was really assuring that they wanted to share to others a tried and tested natural solution to skin problems. Their mission to bring nature alive in every product is something I`m inclined to like. The more natural a product is, the better because I believe nature itself can bring out the goodness and beauty of our skin and over-all well-being. The 50 grams samples came in jars. Whenever I had to get the product, I had to dip my finger in the cream which I think isn`t hygienic. However, the jars are totally reusable once cleaned. The jars can be used as storage for little knickknacks like beads and accessories. According to SafeCosmetics.Org, Phenoxyethanol is a "chemical of concern" . However, "If you are not allergic, Phenoxyethanol is a relatively safe preservative in regard to chronic health effects." 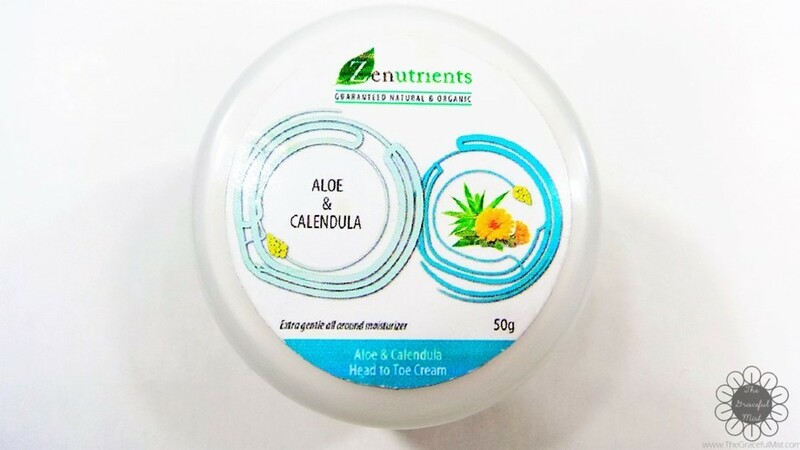 This ingredient is present in Zenutrient`s Nourishing Olive Face Cream and Aloe and Calendula Head to Toe Cream. I have persistent Allergy Rhinitis and I have not had any visible extreme adverse reaction when I used the product .Other ingredients of both creams by Zenutrients are not listed by SafeCosmetics.Org as "chemicals of concern." 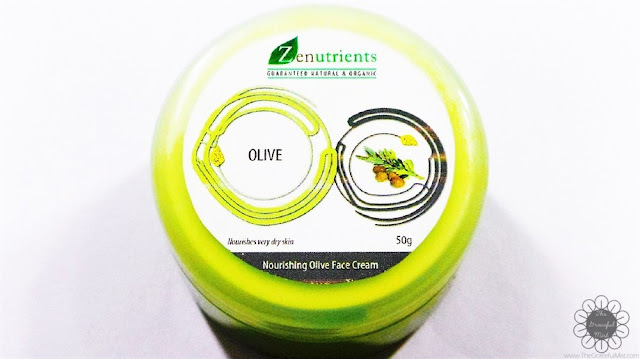 Nourishing Olive Face Cream has a jelly-like and watery consistency. When applied to the face, it felt very light and wet. I had to wait for the cream to dry on my face so my skin will truly absorb the product. Due to this, I often felt like I was sweating bullets because it really was quite watery. 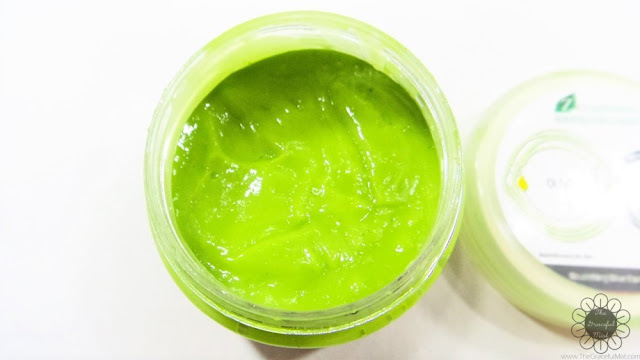 Since the product`s green, my face often had a very slight cast of green after applying the product. It was very moisturizing. After finishing the whole jar, I could really see and feel the softness and natural glow of my face. This cream has olive oil which is a wonderful moisturizer. This is a nice alternative if I don`t want to go through the hassle of having oily face by basically just applying olive oil on my face. It also contains other wonderful ingredients like Grapefruit, Pineapple and Strawberry essential oils and Coconut oil. 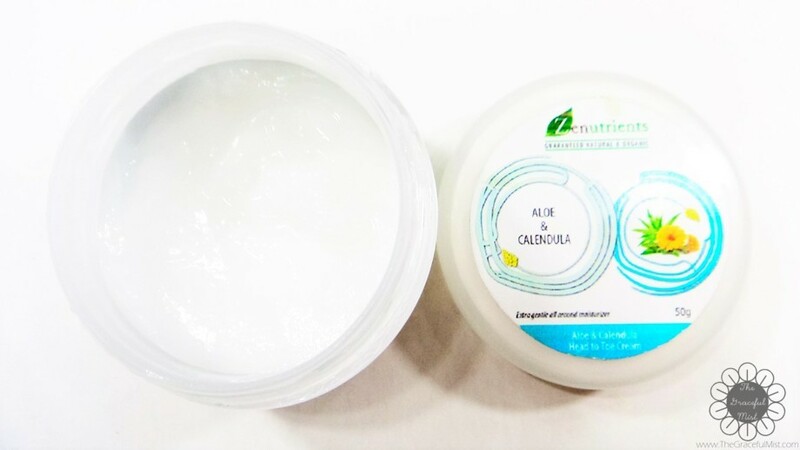 Aloe and Calendula Head to Toe Cream also has a jelly-like and watery consistency. When applied, it felt gentle and light. Like the face cream, I also had to wait for the product to dry in front of an electric fan so my skin can easily absorb the cream. I`m very sensitive to fragrances but the scent of this product is amazingly wonderful. It was also very moisturizing. I tried it on my face, arms, legs and feet. 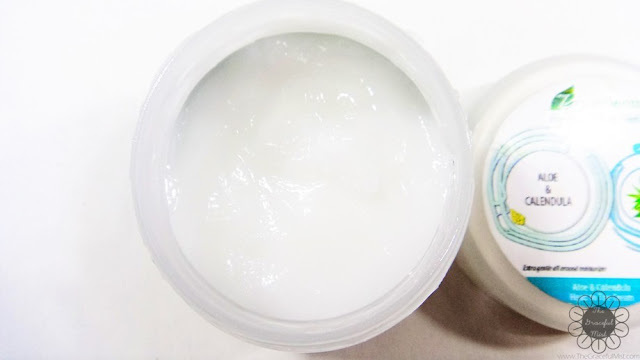 I felt the softness of my skin especially at the soles of my feet after finishing the 50g head to toe cream. As I`ve mentioned, both creams have a watery consistency. 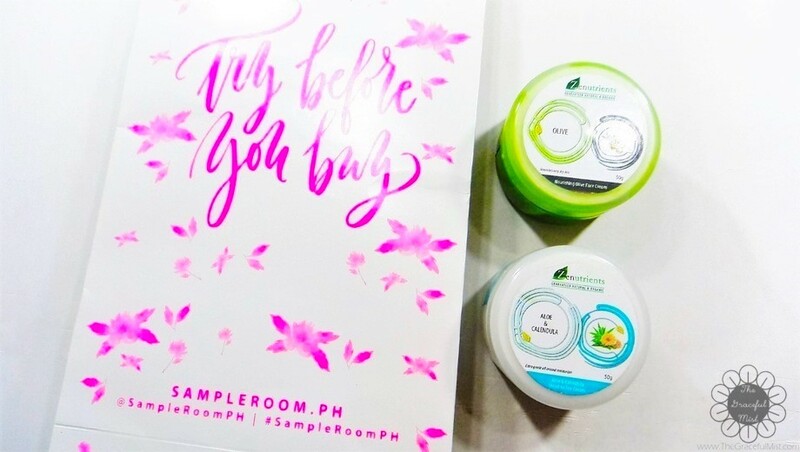 I recommend waiting for the product to completely dry before putting any clothing or make-up above the skin where you applied the creams so that the product won`t be wiped out and can be easily absorbed by the skin. Where to buy? Zenutrients` online shop or visit one of Zenutrients` branches. 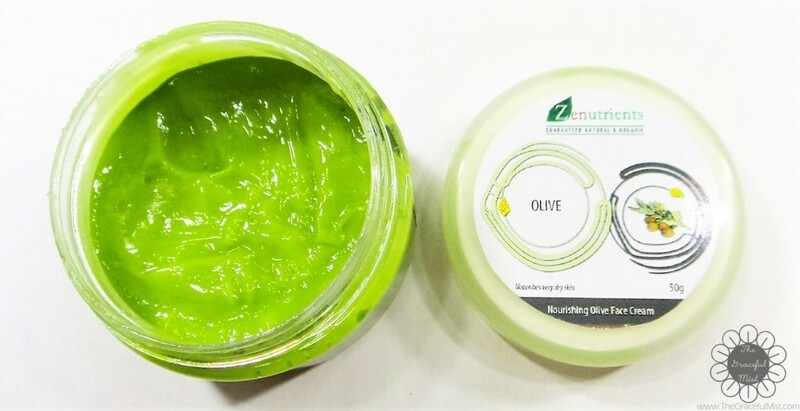 Nourishing Olive Face Cream and Aloe & Calendula Head to Toe Cream are both moisturizing and light to the skin. Their ingredients are relatively safe and the creams smell great. 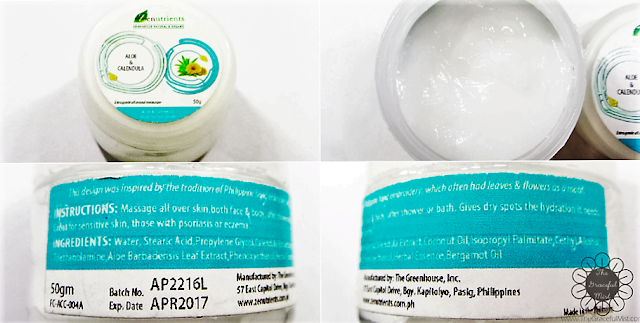 I`ve noticed their moisturizing effects on my skin which is why I would want to try these creams again. Have you tried these creams before or any product of Zenutrients? What do you think of them? If you haven`t tried any product from Zenutrients, what are your essential skin care items? If you have any comments, suggestions, requests, and/or questions, please leave them in the comments` section of this blog post. Thank you. Disclaimer: This is not a sponsored or paid post. This was written voluntarily with utmost honesty.